On July 23, 2016, a decree went into effect ordering the closure of 15 Turkish universities, in connection with a state of emergency declared by the government following the failed coup attempt on July 15. The decree orders the closure of universities (among other institutions) that “belong to, are connected or are in communication with the Fethullah Terrorist Organization (FETÖ/Parallel State Structure), which has been identified as a threat to national security.” The decree also allows the government to seize those institutions’ assets. The FETÖ/Parallel State Structure refers to supporters of cleric Fethullah Gulen, who has been in self-imposed exile in the United States since 1999. Turkish authorities have suggested that supporters of the Gulen movement were behind the attempted coup, which left more than 200 people dead. Authorities have taken a range of actions against the members of the higher education community — among others — allegedly intended to identify those parties involved with the coup attempt, or to eliminate the Gulen movement’s influence within several Turkish institutions. In addition to university closures, these actions reportedly include restrictions on travel, mass suspensions, and arrest and detention of university personnel. Scholars at Risk is concerned about widespread university closures. While State authorities have a right to maintain order and respond to legitimate security concerns, such actions must comply with States’ human rights obligations, including those relating to freedom of opinion and expression, freedom of association, due process, the right to education, and academic freedom, which are protected by international human rights instruments including the Universal Declaration of Human Rights, the International Covenant on Economic Social and Cultural Rights, and the International Covenant on Civil and Political Rights, to which Turkey is a party. Widespread closures of higher education institutions, particularly when they are based on alleged associations between those institutions and other parties, have a profoundly chilling effect on academic freedom, undermine democratic society generally, and may represent a grave threat to higher education on a national scale. 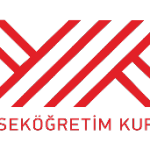 Scholars at Risk is gravely concerned about sweeping actions against Turkey’s higher education sector, including forced resignations, suspensions, and travel bans, reportedly affecting thousands of individuals, in Turkey and abroad. On July 20, 2016, Turkish authorities reportedly imposed a wide-ranging ban on all work-related, international travel by scholars, and demanding that all university personnel currently outside the country return to Turkey immediately.